More than 5% of children in the U.S. between the ages of 3 and 17 have a problem with dizziness or balance, according to results from the first large-scale, nationally representative survey of these problems in American children. Symptoms, including vertigo, poor balance, poor coordination, frequent falls, fainting, or light-headedness, were reported by parents of more than 11,000 children for the annual National Health Interview Survey, Child Balance Supplement. The data indicate that problems with dizziness and balance are more prevalent with increased age and are more common in girls (5.7% vs. 5.0%). The survey results also indicate that non-Hispanic white children appear to be more susceptible (6.1%) to these problems compared with Hispanic (4.6%) and non-Hispanic black (4.3%) children. “Our findings are consistent with the limited prevalence data in other countries, and provide much-needed baseline estimates of dizziness and balance problems in U.S. children,” Howard J. Hoffman, MA, co-author of the study and director of epidemiology and statistics at the NIDCD, said in a statement. Among children with dizziness and balance problems, 46% of parents reported that their children had poor coordination; 35.1% reported light-headedness; 30.9% had poor balance; 29% had vertigo; 25% reported frequent falls; and 8.5% had other dizziness and balance problems. Overall, 36% of children with dizziness or balance problems were seen by a health professional, and 29.9% received treatment. Over 71% of those with moderate or serious difficulties (18.6%) saw a health professional, and 62.4% were treated. 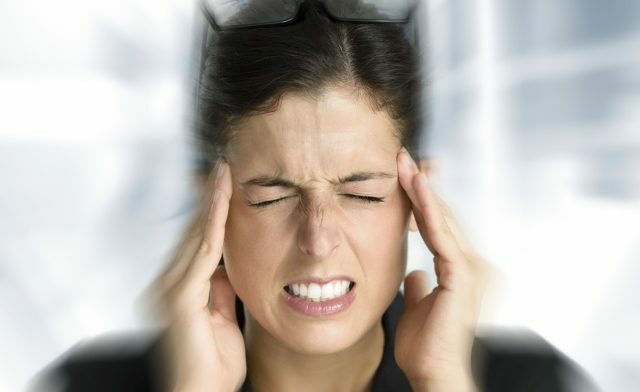 Notably, only 32.8% of parents with a child who had problems with dizziness or balance problems reported having received a diagnosis for an underlying condition. This percentage was greater (59.6%) in those who reported moderate to serious difficulties. Underlying causes included neurological problems; ear infections; head or neck injuries; concussions; developmental motor coordination disorder; genetic causes; metabolic problems; medication side effects; severe headache or migraine; malformation of the ear; and vision problems. Other risk factors also emerged. For instance, children with any difficulty hearing were found to be twice as likely to have problems with dizziness and balance compared to those with normal hearing. Additionally, data indicate that ADHD, ADD, and stuttering are linked to balance and dizziness problems in boys, while anemia, hearing problems, and respiratory allergies were associated with balance and dizziness difficulties in girls. “Dizziness and balance problems in children continue to be an understudied area, and we hope that this analysis leads to a better understanding of the scope and risk factors associated with these issues,” Hoffman concluded. Li CM, Hoffman HJ, Ward BK, Cohen HS, Rine RM. Epidemiology of Dizziness and Balance Problems in Children in the United States: A Population-Based Study. J Pediatr. 2016; doi:10.1016/j.jpeds.2015.12.002.